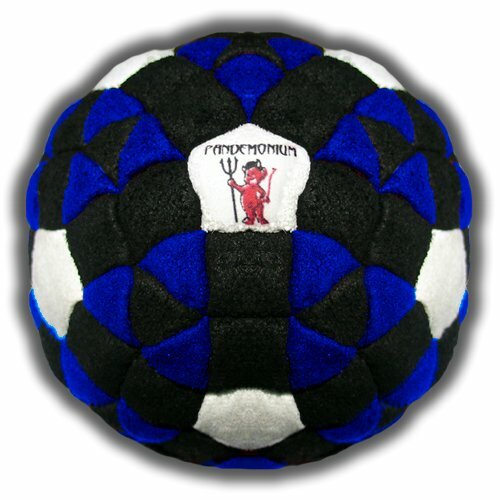 Pandemonium Footbag Kraken Footbag 152 Panels Great Hacky Sack Sand & Iron Weighted At 2.1 Ounces. Pandemonium Footbag Kraken Footbag 152 Panels Great Hacky Sack Sand & Iron Weighted At 2.1 Ounces. by Pandemonium Footbag at Scruffs Game. MPN: 015. Hurry! Limited time offer. Offer valid only while supplies last. Will you dare kick this collector's item? or will you put it in your display case next to your Special Edition Millenium Falcon?